This past year was a great one for games. It also was great for game cover art--as the following examples hopefully prove. 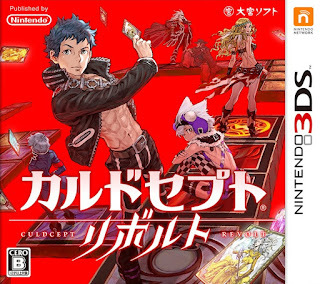 Culdcept Revolt (3DS)--To be totally honest, I originally chose to include this piece of box art in this post because it's awash in red. 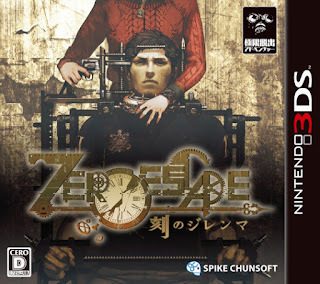 I've since come around to appreciating that the game's cast of characters aren't huddled around the middle point of the illustration, which seems to the case for most Japanese cover images these days. 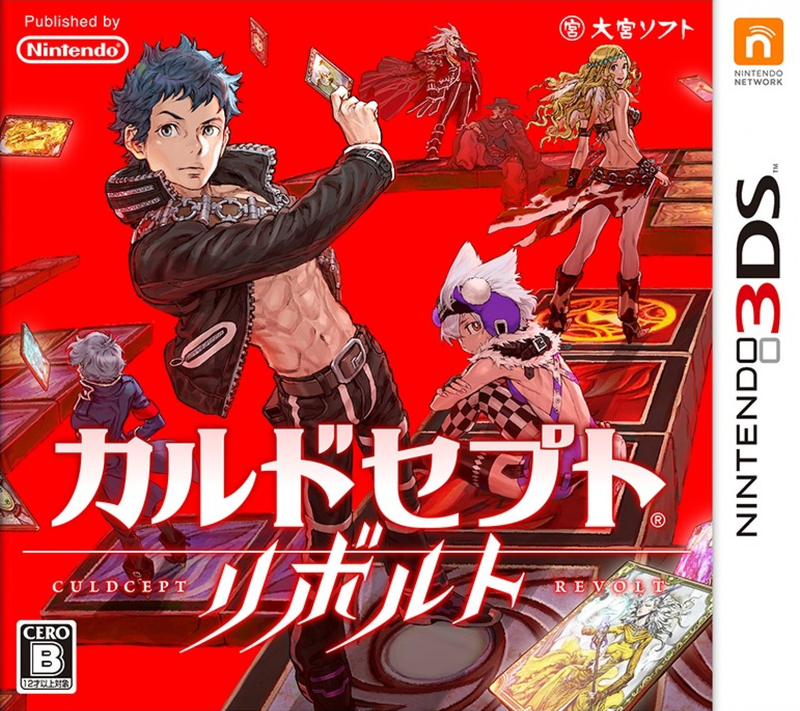 Add in Culdcept Revolt's slick logo, and you've got yourself an obvious winner. Dragon Quest Builders (PS4/Vita)--What's not to love about Dragon Quest Builders' Japanese cover art? After all, it sports a top-notch logo, a charmingly stylized main image and is so sweetly colorful it could give you a toothache. 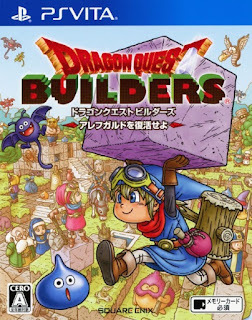 Sadly, Square Enix's designers gave it an extreme makeover when prepping the game for release outside its home country. Final Fantasy XV Deluxe Edition (PS4)--I've drooled over Yoshitaka Amano's work since I learned he was responsible for the key art for one of my all-time favorite games, Final Fantasy VI. 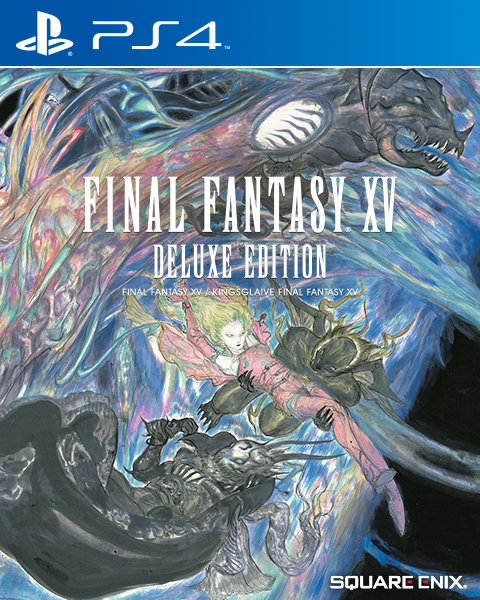 What he conjured up for Final Fantasy XV's Deluxe Edition may not be quite as mind-blowing as those aforementioned creations, but it's still completely gorgeous and very much worthy of being mentioned in a write-up such as this. 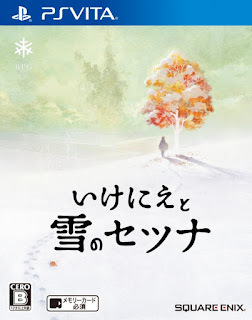 Ikenie to Yuki no Setsuna (PS4/Vita)--This may be my favorite of all the box arts mentioned in this post. I love that it's subtle. I love that its designers weren't afraid of white space. I love the pop of color provided by the lone tree in the upper-right corner. I love the logo, which straddles the line of looking handwritten and looking like a computer-enabled font. And, oddly enough, I love the feeling of loneliness it evokes. The Last Guardian (PS4)--Please note that I'm talking about the Japanese "First-Press Limited Edition" here. As in, the chartreuse-tinged label affixed to the cardboard outer box shown in the photo above. 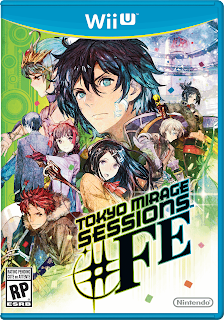 That's the only cover image associated with this long-awaited release I find at all appealing, by the way. Nier: Automata (PS4)--Once again, simpler is better. 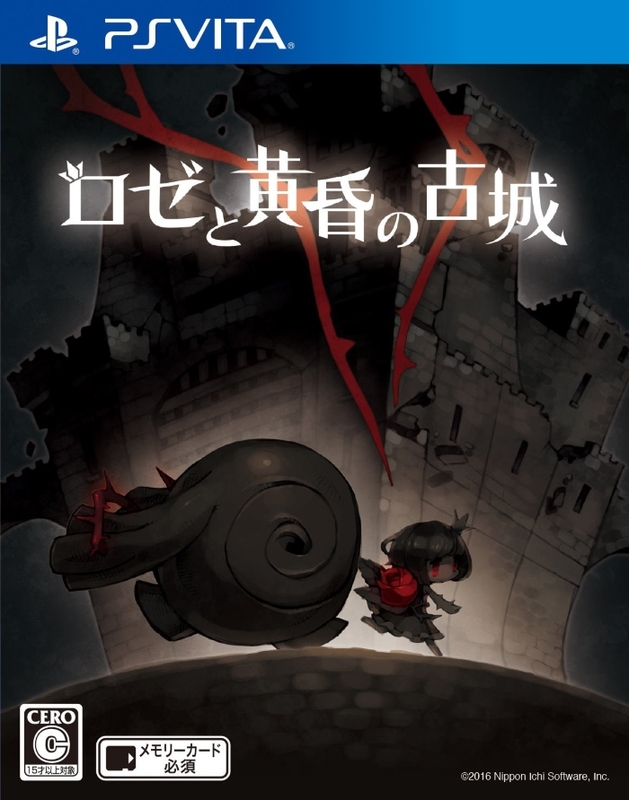 Also once again, a stellar logo does wonders for a piece of game box art. Of course, an illustration provided by the legendary Akihiko Yoshida (of Vagrant Story, Final Fantasy Tactics and Bravely Default fame) also does wonders for such creations. 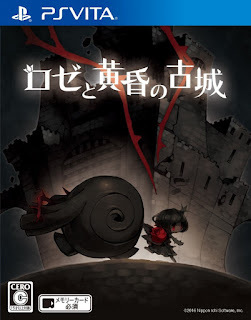 Rose to Tasogare Kojo (Vita)--As much as I love bright and colorful game covers, I prefer ones that are moodier and darker. That Rose to Tasogare Kojo's is slightly cute, too, makes it even more attractive in my eyes. 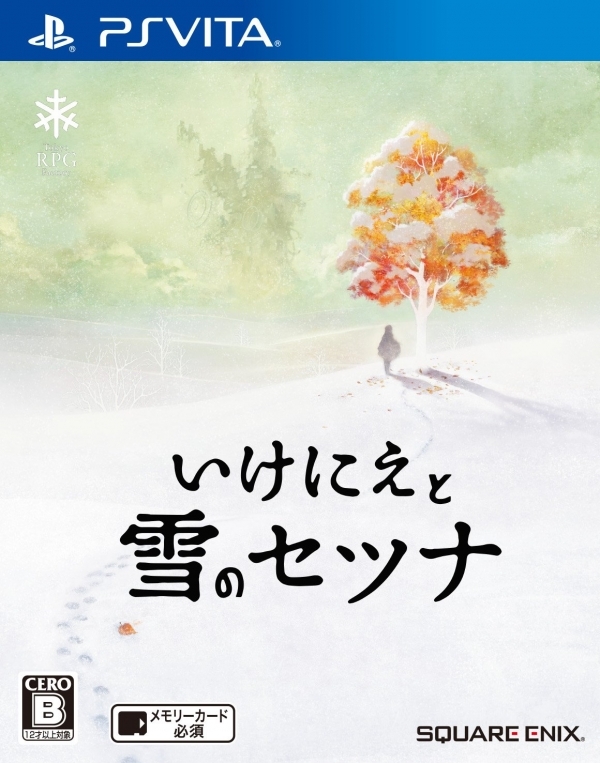 Also, helping matters: this version's understated, but appropriate, logo is light years beyond the one that'll be plastered across copies of the game's upcoming North American release. 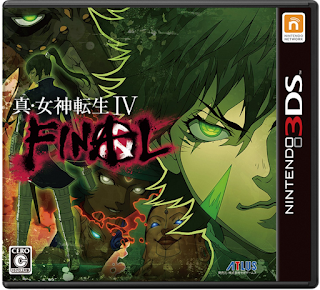 Shin Megami Tensei IV: Final (3DS)--A ha! Another grim-looking box-art design. This one entices in a different manner than Rose to Tasogare Kojo's thanks to its highly stylized logo and intelligent, but retrained, use of green. I also like that it's a collage without being overly obvious about it. 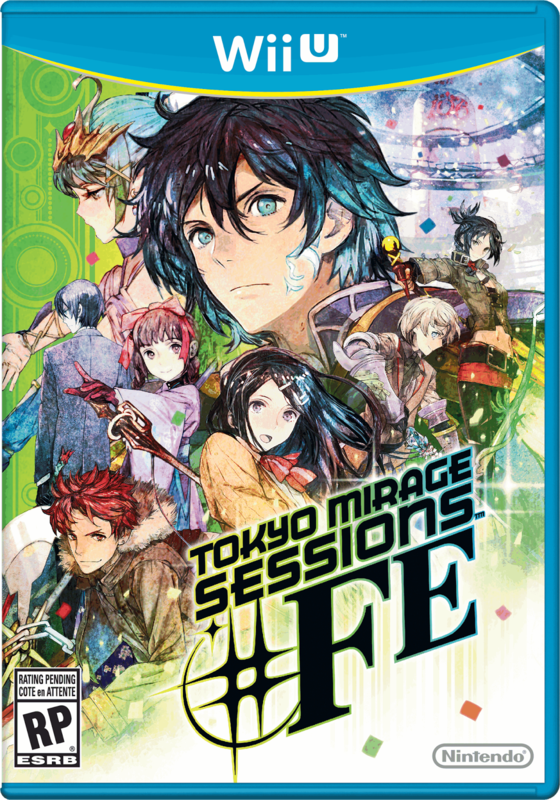 Tokyo Mirage Sessions #FE (Wii U)--I know I said earlier that I'm not a fan of cover illustrations that group a game's main characters in a central blob, but I'm making an exception for the one you see above. That's mainly because of its soft, painterly style and its focus on cool colors. Another feather in its cap: the teal Wii U case actually accentuates the art rather than works against it. 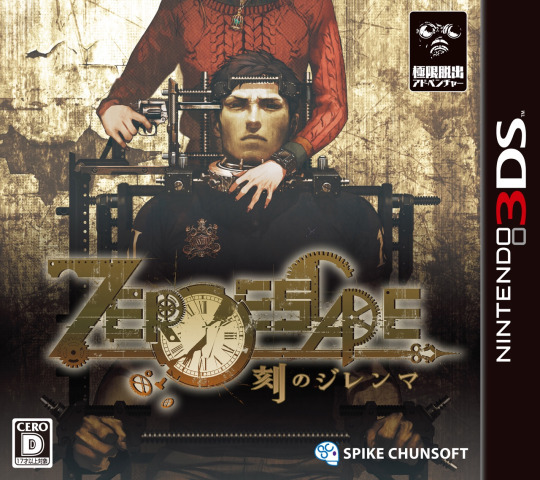 Zero Time Dilemma (3DS)--Earlier this year, I published a post about Zero Time Dilemma's North American box art. The gist: it left me feeling limp. 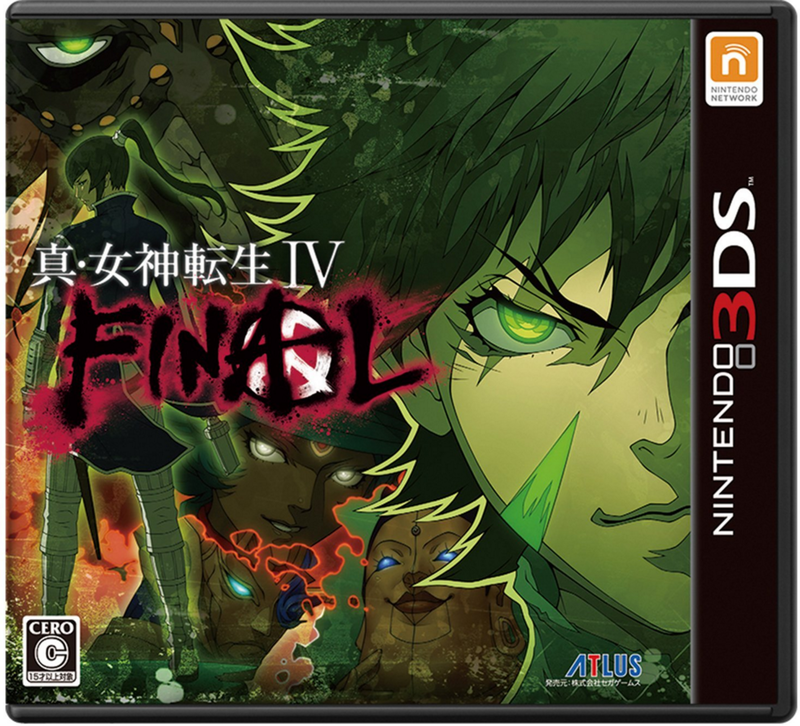 The opposite is true of the game's Japanese 3DS cover, above, which I consider to be spectacularly unsettling. I'm not entirely on board with its logo, but it's far from boring so I'll give it a pass. What do you think of all of the above? 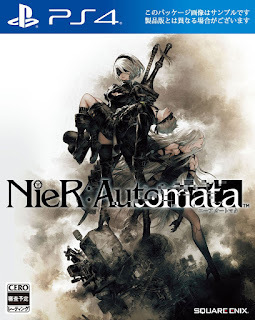 Which box-art examples do you like, and which do you hate? 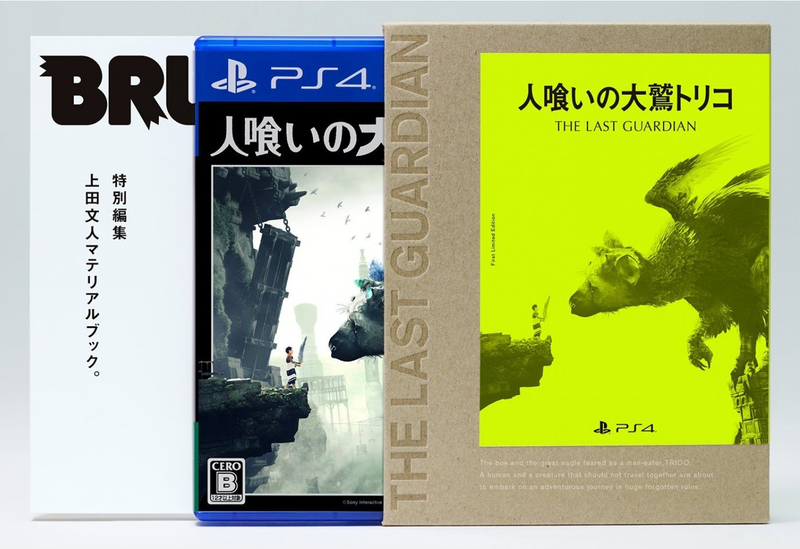 Also, are there other pieces of cover art--from games released in 2016--that you prefer to my favorites?